A winter break could become a reality for the Premier League next season. But Burnley currently have their own three-week spring break, with no game until March 31st at bottom side West Brom. 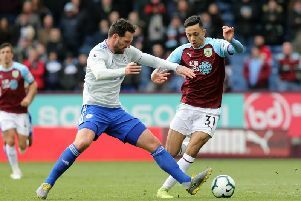 The Clarets have no fixture this weekend, after their Emirates FA Cup exit, with scheduled opponents Chelsea instead taking on Leicester City at the King Power Stadium in the quarter-finals on Sunday. And next weekend is blank with players on international duty. Next February it is mooted that there will be a break, with the FA Cup fifth round set to be played midweek, with no replays, while Premier League games will be staggered, with five matches one weekend, and five on another. Sean Dyche feels a break of some sort is a good idea, with the demands at the top level ever-increasing. He said, on the idea: “The shortest is a 13-day window I think, next year. “It’s a break enough – it’s not a massive break, but you could give the players four or five days literal break, then you get them back in with enough time to get them ready. “If that’s the best break they can do, then that’s a good thing. “It’s mixed for me – we’re not in the Champions League, and if you are, then even with the big squads, you have lots of players playing lots of games, and you need a mental break as much as anything, clear your minds and we go again. “For teams not in Europe, or who don’t have an extended cup run, then it is different – you don’t need all that recovery period, but it needs to be one size fits all. “I do think the demands of football are getting higher. As regards Burnley’s current break, which comes on the back of successive wins, he added: “That’s out of our hands, it’s one of them things. “We’ll have to use that wisely, where can we get work in, where can we give them a rest, maybe some of the internationals need a rest as they’re going away the following week, while some of the other players will get a rest during the internationals. Dyche would have prefered to try and build on his side’s momentum, having beaten Everton and West Ham in their last two games. Burnley have now lost only once in six games, having ended a run of 11 league games without a win with the 2-1 victory over the Toffees at Turf Moor a fortnight ago. Dyche said: “To get two wins back to back in the Premier League is brilliant for any team.